What a great little book. 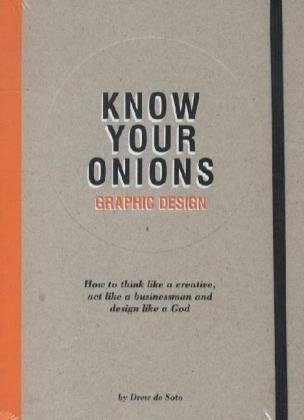 Written by Drew De Soto who has been a graphic designer for 25 years, this book is a guide for working in the Graphic Design industry. The first three sections, Thinking, Working and Designing, go through his own technique and systems, and whilst they might not necessarily work for everyone, he has honed his way of working down to a fine art, and there are loads of good tips and ideas in here. He then goes on to talk about design principles, layout, type and text. Lots of stuff that ends up being in most graphic design books, but explained simply, and also laid out as reminders and ideas rather than pages and pages of theory. He does the same with the next set of chapters, knowledge of paper, colour, reprographics, print and finish, again, full of handy tips, hints and useful bits of knowledge. My two favourite bits of this book are the magic numbers section – a set of numbers for margins, leading etc. that “just work”, and the 10 things section – where clients, art directors, printers ( and more) list the 10 things they wish designers would do. VEry handy. Followed by a brief keyboard shortcut list and glossary – again very handy! Whilst this book is fairly detailed, and very handy for designers, it is not for a beginner. He tale as though his reader has some knowledge of graphic design. But this makes this a good book to refresh your memory, work out where you are going wrong and as a checklist. Well worth a look.